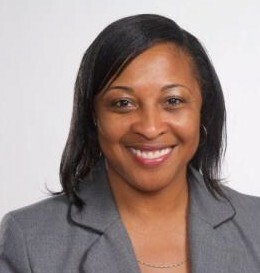 Dr. Peggy Barnes-Winder is a native of Lancaster SC and was educated in the public school system of Lancaster County. A two-time NCSGA Professor of the Year recipient (2002-03, 2011-12) and a 2011 recipient of the Grady L. Cooper award for teaching excellence and service, Dr. Barnes-Winder is a prominent member of the Newberry College community as an alum and a popular professor. She began her teaching career at Newberry College in 1990 and has proven herself a solid professional both inside and outside the classroom. In addition to her teaching duties in the department of sport professions, Dr. Winder works closely with faculty, staff and students to advance the college’s mission to build and maintain a diverse and inclusive campus community. Throughout Dr. Barnes-Winder’s tenure at Newberry College, she has received numerous accolades and honors. She most recently received the W.C. Carter Professorship Award for “Selfless Giving” to students, staff, colleagues, and alumni (2014). She was selected in the spring of 2012 to provide the December Commencement Address to the Graduation class of 2012. In 2011, she was inducted into the Bachman Honor Society. Other notable achievements are as follows: in October 2004, she was selected as the “Outstanding Young Alumnus" by the Alumni Board of Directors; in May 2003, she was selected by the JAYCEES as “Outstanding Young American Fitness Leader"; on April 4, 1999, she was selected as one of “20 South Carolina Woman Making a Difference” for Women in Sports, presented in The State newspaper; on September 5, 1998, Dr. Barnes-Winder was selected as the “First Female” Inductee into the Newberry College Athletic Hall of Fame. She has also been recognized by BB&T and WKDK as “Citizen of the Week” and has received the Pathfinders award for the State of S.C.’s National Association for Girls and Women in Sports. She has had many opportunities to work with educators and students all over the state. She is married to Retired MSG. David A. Winder and they have two daughters, Kasey Danielle and Rielly Anne. The Winder family resides here in Newberry SC.